Giant Invitations offer an elegant and everlastingly stylish collection of corporate invitations and announcement stationery specially designed for your formal and fancy company dinners or celebrations. Announce your business’ special event with pure class and a touch of contemporary style with our assortment of magical and modern designs. 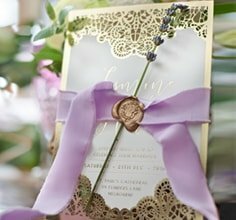 Announce your upcoming function in true sophistication and style with our impressively extensive range of traditionally styled and timeless invitations. Browse through our striking and stunning invitations that promise to suit both formal and informal corporate events, formal dinners and special occasion affairs. Strengthen your relationships with your clients and employees by sending them Christmas or cocktail party or exclusive or charity invitations. We’d love to play a part in taking the stress out of organising your event and celebrating that business milestone. Shop the collection now.